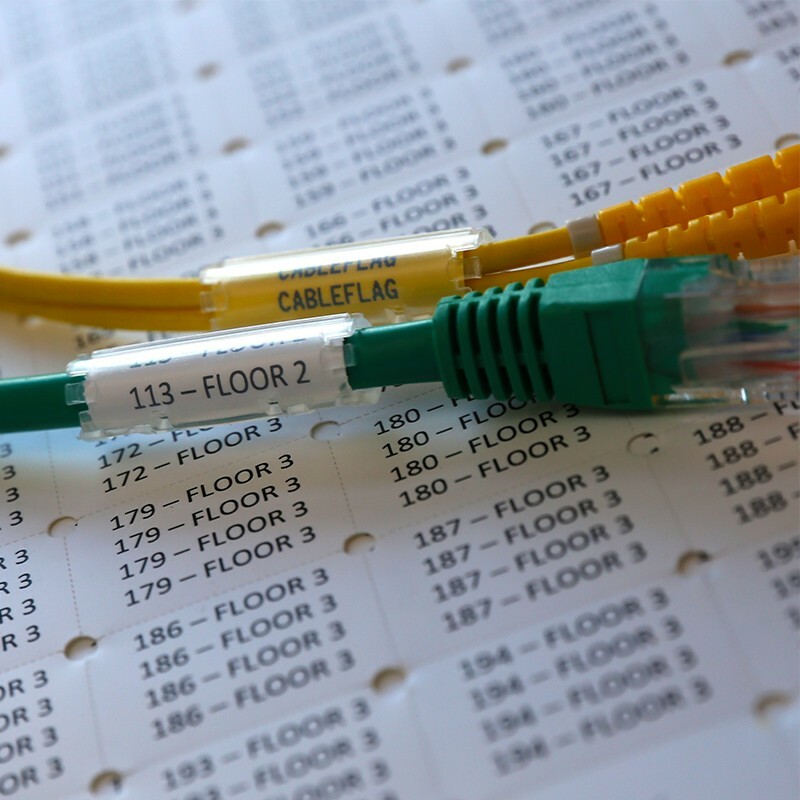 TagPro™ from Cableflag Ltd.™ is a unique, patented, easy to use labelling solution for structured cabling in data centres & telecommunications facilities. This stylish clip-on system will save you time and money. TagPro™ is fast & easy to use, saving time and money. TagPro™ can be rotated and moved on the cable, yet fixes securely. It can easily be removed for relabelling or cable replacement. TagPro™ does not wrinkle, fade, or fall off, suitable for hot aisle. The label is clear and easy to read, protected by the TagPro™. We supply sheets which can be printed in any A4 laser printer, you will not have to spend money on specialised printers. TagPro™ is designed to cater for CAT 5 & CAT 6 cables, Fibre Cables in pairs.